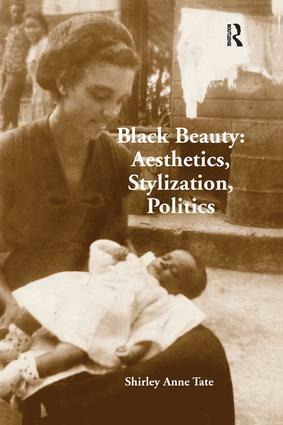 Previous work discussing Black beauty has tended to concentrate on Black women's search for white beauty as a consequence of racialization. Without denying either the continuation of such aesthetics or their enduring power, this book uncovers the cracks in this hegemonic Black beauty. Drawing on detailed ethnographic research amongst British women of Caribbean heritage, this volume pursues a broad discussion of beauty within the Black diaspora contexts of the Caribbean, the UK, the United States and Latin America through different historical periods to the present day. With a unique exploration of beauty, race and identity politics, the author reveals how Black women themselves speak about, negotiate, inhabit, work on and perform Black beauty. As such, it will appeal not only to sociologists, but anyone working in the fields of race, ethnicity and post-colonial thought, feminism and the sociology of the body. Shirley Anne Tate is Senior Lecturer and Acting Director, Centre for Interdisciplinary Gender Studies at the University of Leeds, UK. She is the author of 'Black Skins, Black Masks: Hybridity, Dialogism, Performativity' (2005).